I’m always being asked by photographers ‘how do I get to work for NGOs?’ So I thought I’d put together my top ten tips – well thirteen actually. This isn’t a definitive guide but is based on my experience and opinion formed over 14 years of working in the industry and having been approached by numerous photographers. Research. Read as much as you can about the particular NGO(s) you want to work for. Understand their campaigns, where they work, how they work, what photography they use, and where and how they use it. Are they mainly a development NGO, a humanitarian response NGO, a campaigning NGO – or a mixture? There’s nothing worse than a photographer approaching you who has no idea about the NGO you work for. Know the photography they use. International development NGOs don’t necessarily just commission photography covering global issues. They might well also commission photography to cover campaigning events, media stunts, celebrity portraiture in the NGOs home country. What area does your photography, your skills and experience lend itself too? Don’t just aim for the dream commission. If you have yet to build a name for yourself, are just out of college etc don’t turn down local events and campaigning commissions. This is a good way for an NGO to try you out and see what you can deliver in a low risk environment. Who is the picture editor. Who are the key people commissioning photographers in a particular NGO? 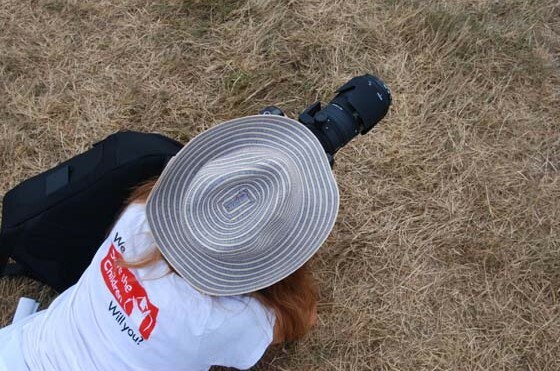 Depending on the NGO, they may sit in the media team, the communications team, the marketing team or commissioning photographers might be just one part of someone’s job. This will help give you a steer on the kind of photography they will be commissioning. Pressured for time. Remember that the picture editor is extremely busy, pushed for time and is inundated with photographers contacting them for work. Put yourself in their shoes and think how you would best like to be approached and think about what you have to offer and how this is going to stand out (in the right way) from other photographers. How to contact. Nice short, to the point, friendly email with a link to your website (don’t include lots of attachments that will clog up the picture editors inbox). Follow up a week/10 days later with a friendly phone call. Perhaps they might be going to an exhibition opening or photo festival that you’ll be at – these could be good times to arrange to have an initial chat and a chance for the picture editor to see you as an individual rather than just another photographer wanting to show your portfolio. Silence. Don’t worry if you don’t hear back from a voice mail or an email – it doesn’t mean the picture editor isn’t necessarily interested – they’re just busy. You have to have a thick skin and be persistent – but not too persistent otherwise you’ll be remembered for being annoying. Your portfolio. When you’ve got that all important meeting with the picture editor make sure your portfolio is relevant. You may have been working on a long term project which shows your passion in international development issues, children’s issues or environmental issues but the picture editor is also going to want to see that you can deliver to a brief in a short time frame under less than perfect conditions. Make sure your portfolio also reflects this. Photography plus. It helps if you can offer more than just photography skills. If you can offer up skills in interviewing and providing excellent first person ‘case studies’ you’re more likely to be in demand. Like in the editorial market these days there is also more of a demand for filming skills as well as being a great photographer. Do you speak other languages? Make sure you mention your relevant additional skills at your meeting. After the first meeting. Drop the picture editor a short email – and link up with them on facebook, linkedin, follow them on twitter. That way they can see what you’re up to without any additional effort. Word of warning – don’t do this if your facebook account etc is just focused on your personal life! Base yourself overseas. Think about being based somewhere other than the UK or where the NGO’s main office is based. With budgets being very tight often there is no money for an expensive flight. If you’re based in a country where there are many NGOs working, but not so many photographers you’re more likely to get commissioned. Your personality. Picture editors are looking for the right character and personality for an assignment. Can you work with a celebrity and a film crew and not get stressed out about not getting your pictures? Will you be able to work well with the local staff in a specific country? What will your attitude to local people be like? Can you cope with sleeping in a tent and no running water and electricity? Think about how you can express that you are the right kind of person in your communications with the picture editor. This is a brilliant piece of writing and information, particularly for those who have just begun with their professional careers in the development sector. It also defines your years of experience and expertise. Hope to read more from you may be on the contemporary photography or on what sells these days in the international media. Thanks Mona. It’s so tough starting out in the industry and picture editors are generally so busy getting their job done that it’s difficult to give time to everyone who asks for advice. Ya i have got to agree I have gone ahead and bookmarked you on digg under “Rachel Palmer Photography & Film » How to get a photography commission for an NGO”. So hopefully our friends can give you a visit. Thanks.